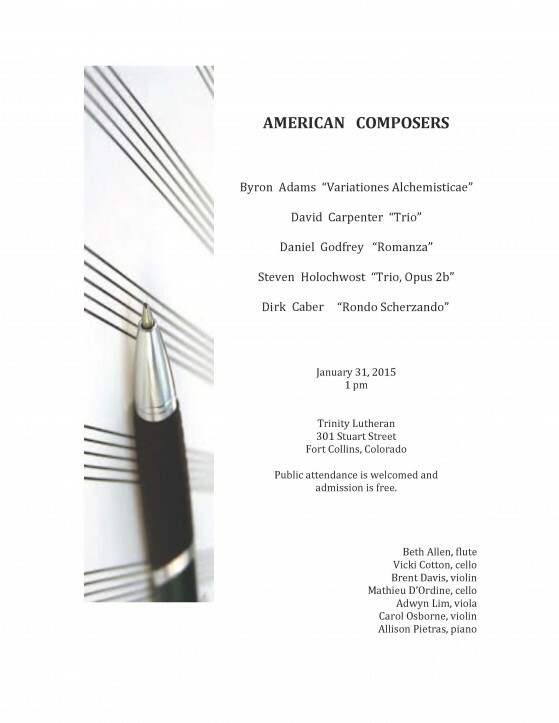 For those of my fans in Colorado, I’ve a performance of one of my own compositions in Fort Collins on January 31! This is the last movement of my flute sonata. Especially pleasing is that I’ll be bookending this program with an esteemed composer and musicologist who’s been one of my greatest heroes and champions. I’m meaning to attend; come say hello! Damn your Hubs has some mad skills! If I’d only been in the continental US I’d come. Fantastic job Dirk! lovely Dirk, What were the mental visual images that were accompanying your audio creating? I like it very much, congratulations! That is a great picture of you also. WOW! absolutely wonderful. i’m not a fan of flute but then never heard one like your’s. it’s wonderful. Hello! I am so happy your music is getting performed! I would love to sing something of yours. It must be the fourth time I am saying this! Well, break a leg! Sort to have to miss the Ft Collins concert, but I’ll see you Friday night in Denver. Congratulations, and it’s a wonderful piece indeed! I’m just wondering – was it by your choice that they used your stage name rather than your birth name? There are things that words can not say, only expresses look, and the affection confirms. Very relaxing after a hard days work. Thanks Dirk. This recording is really, really fantastic. Two questions – who are the performers for your pieces? I can’t find em anywhere. And also, where can I buy sheet music? There are a few pieces on your soundcloud page I’d love to perform. Will — Which works are you interested in? Definitely the Nocturne, but really, whatever solo piano works you’ve published would be fun to read through.